The best description here is O-M-G. It is rich, it is creamy, there are many flavor choices, and it really is SO delicious. My favorite is the chocolate flavor. It is so rich and creamy, you’ll have trouble believing that it really is a dairy-free, vegan yogurt! 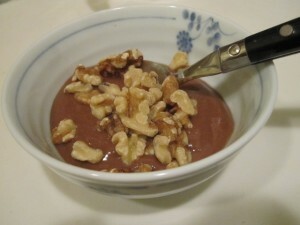 For breakfast, a major treat is a chocolate coconut milk yogurt with walnut pieces and bananas (if available). Seriously, this is super yummy. 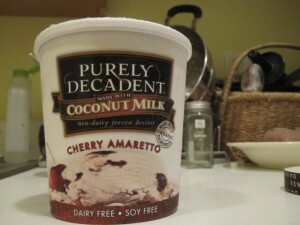 Although So Delicious makes Vanilla and Original, I prefer the unsweetened flavor for the coconut milk. It’s is rich and creamy, and it only has 50 calories per serving. (Note: this is different than the thick coconut milk you find in a can and use often for cooking Asian dishes). It’s great on cereal, in your “cheese” dishes, to make cream sauces and to drink with meals. So Delicious also makes vegan creamers for coffee and tea. 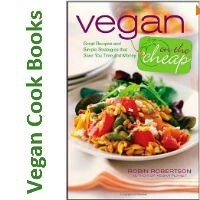 I also really like the unsweetened Hemp milk for smoothies and as a tangy variation for the vegan mac & cheese recipe. Contrary to popular belief, hemp milk does NOT contain any THC and it DOES contain high levels of Omega 3 and Omega 6 essential fatty acids as well as all 10 of the essential amino acids. They also make a chocolate flavor which is super yummy! It’s like drinking a dessert though, so I don’t drink it everyday. Hemp milk has amazing nutritional benefits, and I believe it’s worth including as part of your meal plan. It has a slightly different taste, so I’d encourage you to try the different flavors and find one that works for you. They make vanilla, unsweetened, original and chocolate. 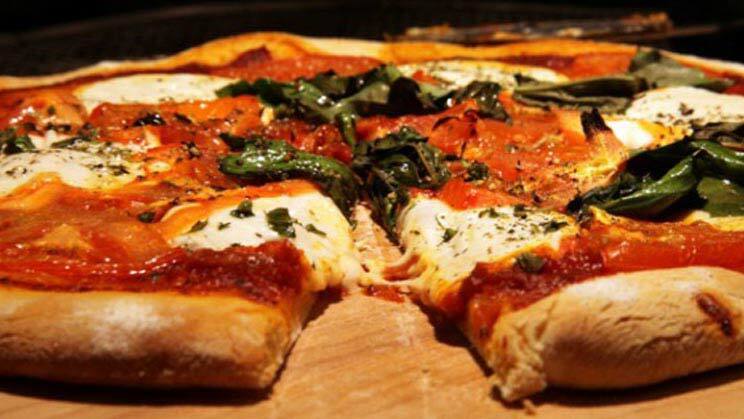 3) Cheese: Daiya and Teese Cheese - yes you can still have your pizza too! There are now many brands of dairy-free cheeses out in the world that are delicious and really do melt! Daiya and Follow Your Heart are two vegan cheese brands are casein-free, stretchy, melty and super yummy. I use these cheeses to mix in with my sauteed rice and veggies, sometimes to top off my vegan mac and cheese recipe, and of course, for PIZZA – YUM! Yes, I did say vegan ice cream, not sorbet. Luckily, shifting to a plant-based diet does not mean you have to give up ice cream, it’s just a matter of finding new products. Luckily, there are a variety of super yummy non-dairy ice creams now. 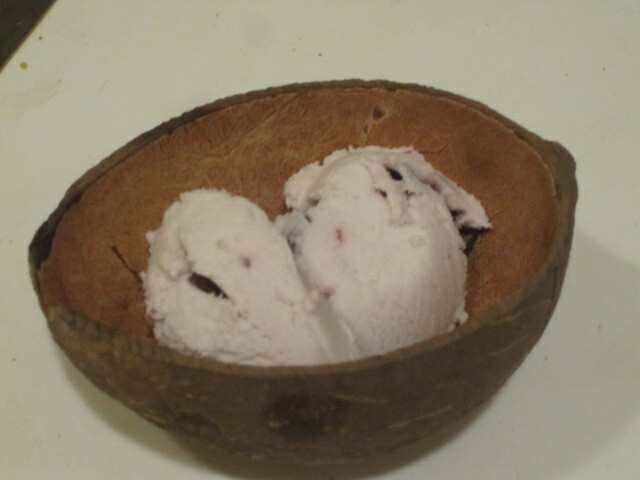 Organic Netcar makes a raw vegan ice cream that is made from a base of cashew nuts. It is AMAZING!!! It honestly tastes like super rich and premium ice cream, and it’s all raw! 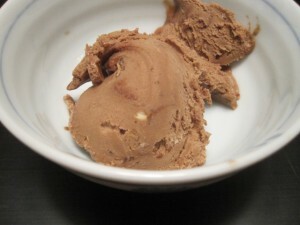 I photographed their Chocolate Hazelnut flavor to show you that the texture is just like regular ice cream. I am also a huge fan of their Cherry Chocolate Swirl. I know it’s a bit more expensive than traditional ice cream, but it’s so rich and fulfilling that I don’t eat very much of it at one time. It tastes like I could eat a whole pint, but I’m really satisfied after a small amount. Another of my favorite non-dairy ice creams is the So Delicious Chocolate Chip Cookie Dough ice cream mixed with their Cherry Amaretto flavor. It’s like Ben and Jerry’s chocolate chip cookie dough ice cream meets Cherry Garcia©. Definitely… no… sacrifice. (Their Cherry Amaretto flavor is shown in the photograph at the top of the page). Some of my friends have actually decided they prefer coconut milk ice cream because it tastes fabulous and is slightly less fattening than cow milk ice cream (at least the flavors we eat). So Delicious also makes vanilla ice cream bars that are covered with dark chocolate and toasted almonds. These are dairy free and sweetened with agave syrup. I always have these in the freezer in the summer!